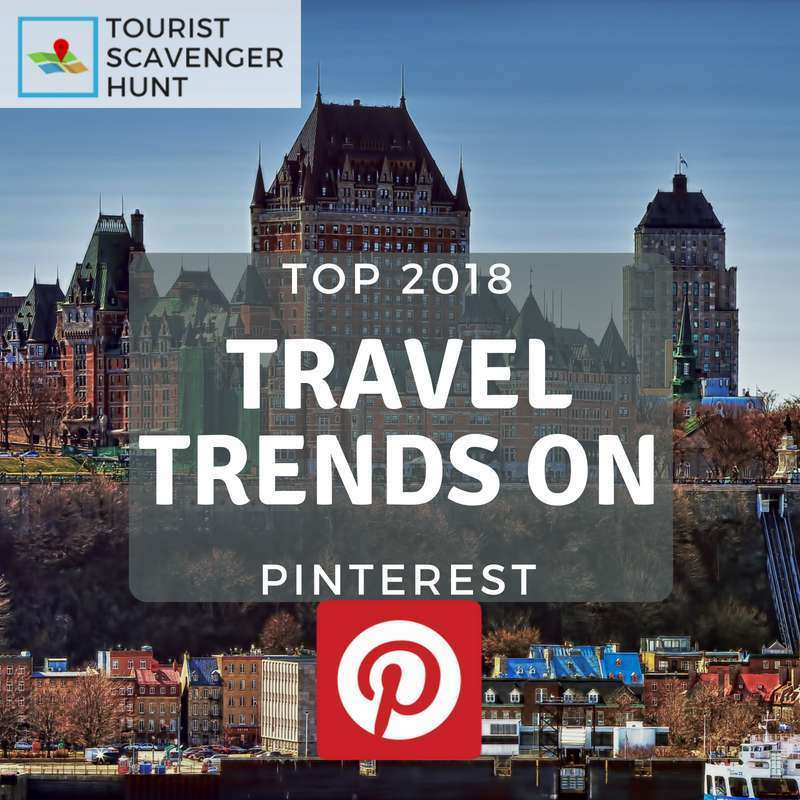 Are you planning a trip to Ottawa? It’s a beautiful city to visit in any season, for its architecture and its parks. While developing our Ottawa Tourist Scavenger Hunt, we identified a few locations used in the filming of well-known movies we thought we’d share with you. Today, this building serves to host various conferences and political activities such as the G20 in 2001. A section of the Berlin Wall was located in its entrance from 1991 until 2011 when it was moved to a museum. In 1976, Shadows in an Empty Room with Martin Landau shot a few scenes here on Rideau St, as well as on Wellington further west. In 2013, Penthouse North a thriller with Michael Keaton shot scenes in Ottawa, including here on Elgin St. Colonel By, a prominent founder of Ottawa supervised construction of the Rideau Canal in 1832. It connects the Ottawa River here in Ottawa to the St. Lawrence River in Kingston, 202 kilometers away. Its original purpose was to transport logs to Kingston for the shipbuilding effort, hoping to prevent a war against the United States, which never happened. In 1997, Batman & Robin shot scenes with Mr. 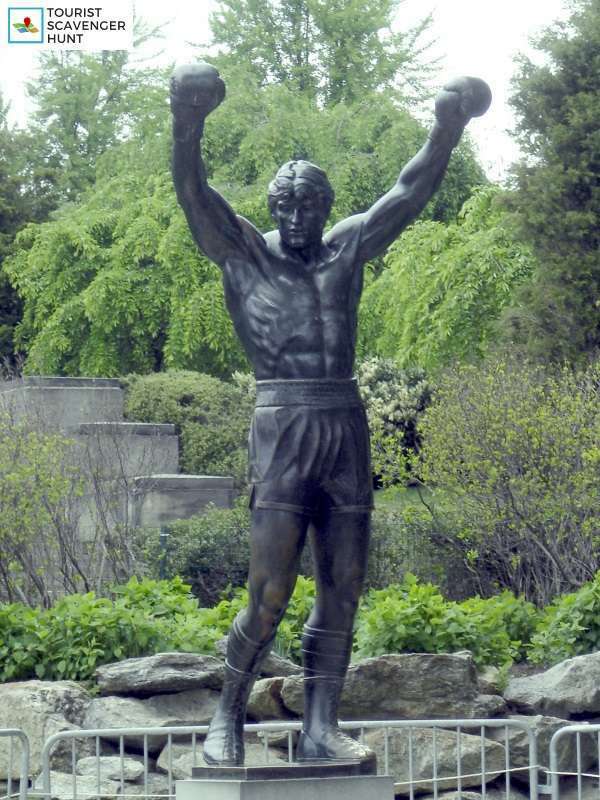 Freeze (Arnold Schwarzenegger) in winter on the Rideau Canal. The Canadian Pacific Railway built Chateau Laurier hotel, today operated by Fairmont, 1912, in tandem with Union Station across the street. In 1941, Captains of the Clouds with James Cagney shot scenes here in and around Chateau Laurier. We invite you to try our Ottawa Tourist Scavenger Hunt. It is a 2-hour self-guided walking tour of the downtown area that you do with your smartphone (how it works). It costs $35 for a group of 2 to 6 persons. You’ll come across most of these film locations. Moreover, you’ll enjoy solving the various challenges at each step of the way while learning the history of Ottawa. 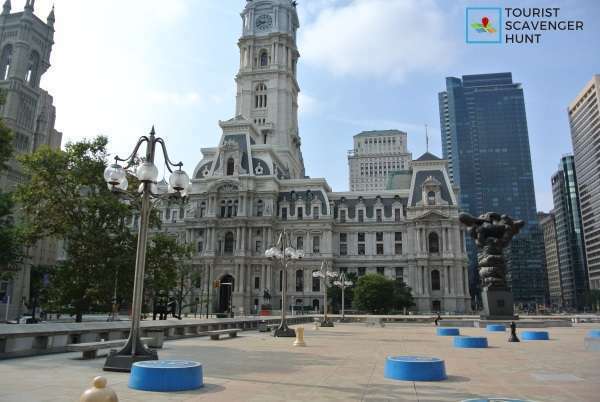 Do you enjoy spotting where some of your favorite films or tv shows have had scenes shot when you visit a city? A ton of films have been shot in Midtown Manhattan over the years. This continues with many productions closing down streets and parks every year to make your next favorite flick. In our research to develop a Tourist Scavenger Hunt in New York Midtown, we’ve come across much information, not only some which can only be gleaned when doing the actual scavenger hunt, but also some we wanted to share with you for your visit planning. Here are 10 film locations to see in New York Midtown. 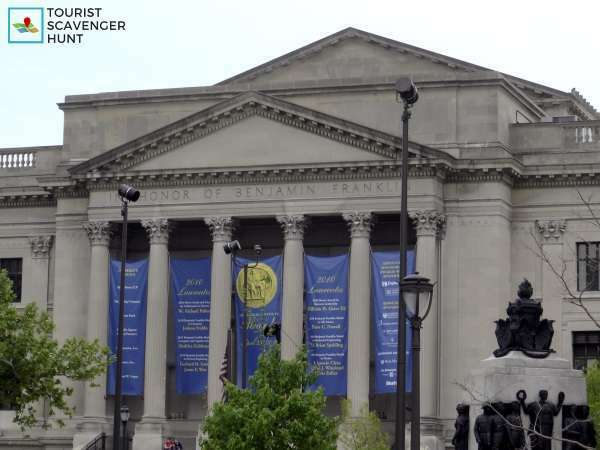 This is the principal Amtrak terminal for the city, as well as a central hub for the various metro lines crisscrossing the city. The current Beaux Arts building is the third railroad structure to stand on this site, now covering 48 acres. The original Grand Central Depot was built in 1871 by railroad tycoon Cornelius Vanderbilt. The number of railroad companies quickly outgrew the Depot and in 1899 it was demolished and replaced with the six-story Grand Central Station. Back then, trains were steam-powered. After a 1902 catastrophic collision, the decision was made to switch to modern electric trains. Again, the existing building was rebuilt to accommodate electric trains. Grand Central was no longer just a stop along a route, but the final stop. Hence, it became Grand Central Terminal, and officially opened in 1913. To sum up, 49 films have used Grand Central Terminal as an important scene over the years. It has been NY’s largest and busiest circulating library. It is mostly closed since August of 2017 for major renovations. You can still access the entrance which is worth a quick visit. It will reopen in early 2020. It is bordered by the Bryant Park Hotel to the south (originally the American Radiator Building), and the Bank of America Tower to the north-west. Across Ave of the Americas to the west of Bryant Park is was located Circle NYC nightclub in which scenes from How to Lose Friends & Alienate People (2008) were shot. The Port Authority Bus Terminal is the main gateway for interstate buses into Manhattan in New York City. It opened in 1950 and stands 1 block east of the Lincoln Tunnel to New Jersey. 8,000 buses and 225,000 people go through it on an average weekday through its 223 gates! 13 Subway lines also stop at the Port Authority. Today it is likely full of locals and tourists here to take in that New York feeling. There are many street performers in designated zones. There are almost 50 theatres on both sides of Times Square, on 42nd St 43rd St and every street all the way up to 50th. Built in 1931, Hotel Edison has room for 1,000 guests over 26 floors and is one of the finest examples of Art Deco architecture in New York with its curved edges, bold lines, and an interior that is both elegant and bold. When the hotel opened, the lights were famously turned on by Thomas Edison, the inventor of the light bulb. It is located on W 47th between 6th and 7th St. Walk in to see the main lobby which is still in the original Art Deco style. There are many beautiful paintings and murals. This entertainment venue is part of the Rockefeller Center in Midtown Manhattan. It is nicknamed the Showplace of the Nation. Radio City Music Hall was designated a New York City Landmark in May 1978. Originally designed by Edward Durell Stone and Donald Deskey in the Art Deco style, it opened in August 1932. Rockefeller Plaza houses a large fountain which turns into a skating rink in winter and several signature stores such as Cole Haan and the Lego Store. On the Town (1949). It is where Frank Sinatra and Gene Kelly sign New York New York. No hotel is as much a New York icon as the Waldorf-Astoria, built in 1931. The hotel lobby is normally well worth a visit; however, the hotel is currently closed as it undergoes a complete renovation and restoration. It should reopen by 2022. This 59-story skyscraper, opened in 1930, is still referred to many New Yorkers by its original name, the Pan Am Building, named for the now non-existent airline. There aren’t many fans of the MetLife building other than the building’s landlords. That’s because its architectural school called Brutalism that uses concrete and blockish forms dwarf the regal Helmsley Building you just saw. In addition, in the Avengers movies, the MetLife Building is transformed into the Avengers Tower. We invite you to try our Tourist Scavenger Hunt in New York Midtown. It is a 2.5-hour guided walking tour throughout Midtown Manhattan from Grand Central Terminal to Times Square, Rockefeller Center, and everything in between. You do it on your mobile phone (how it works). It only costs $30 for your group (1 to 6 people). 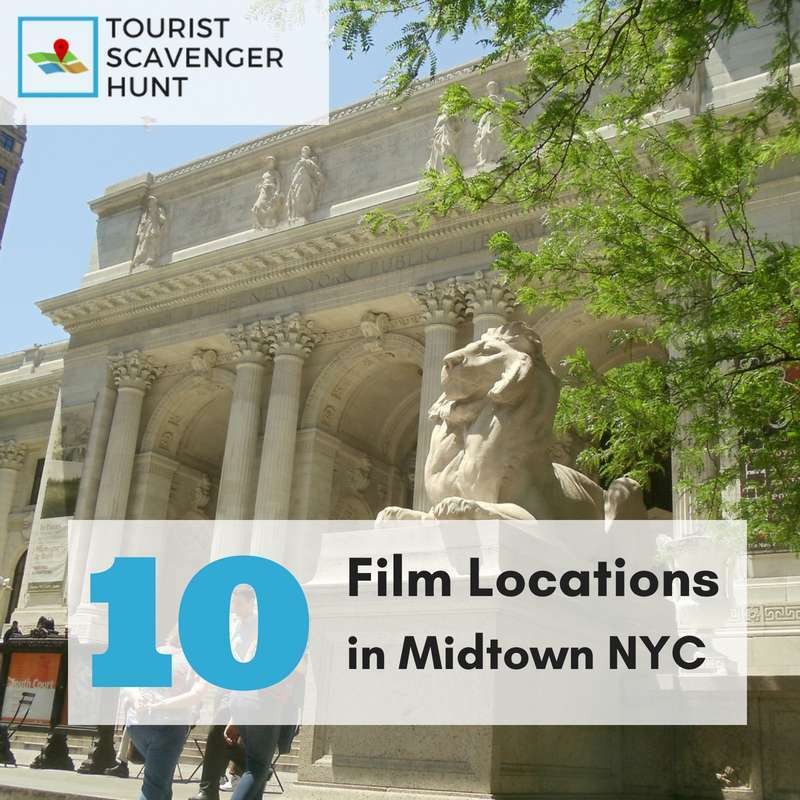 Moreover, you will enjoy seeing these film locations and much more while completing challenges and learning about Midtown’s history. 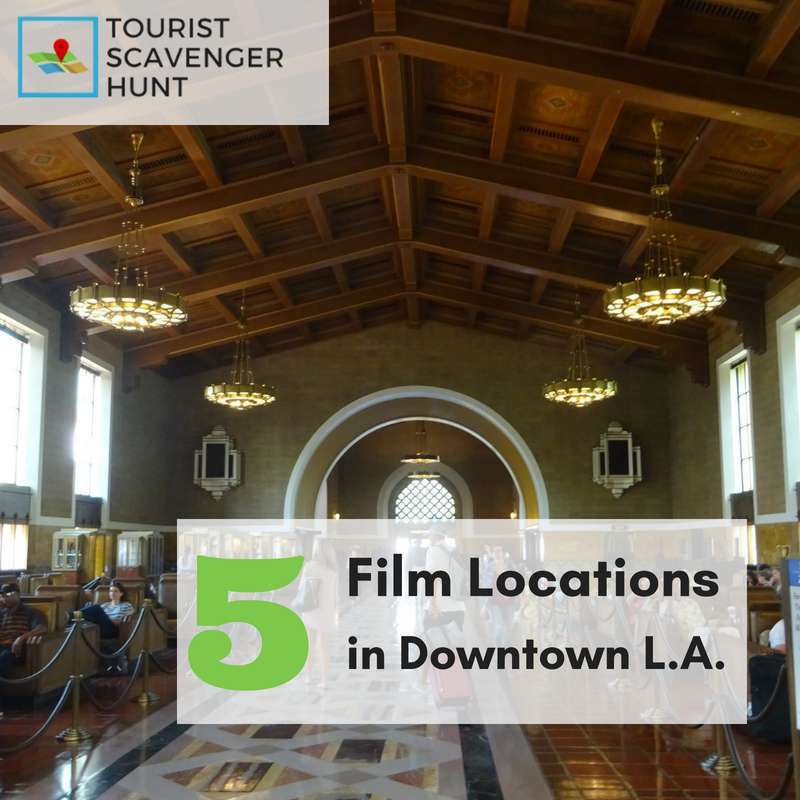 5 film locations in Downtown L.A.
Are you planning a visit to Los Angeles? 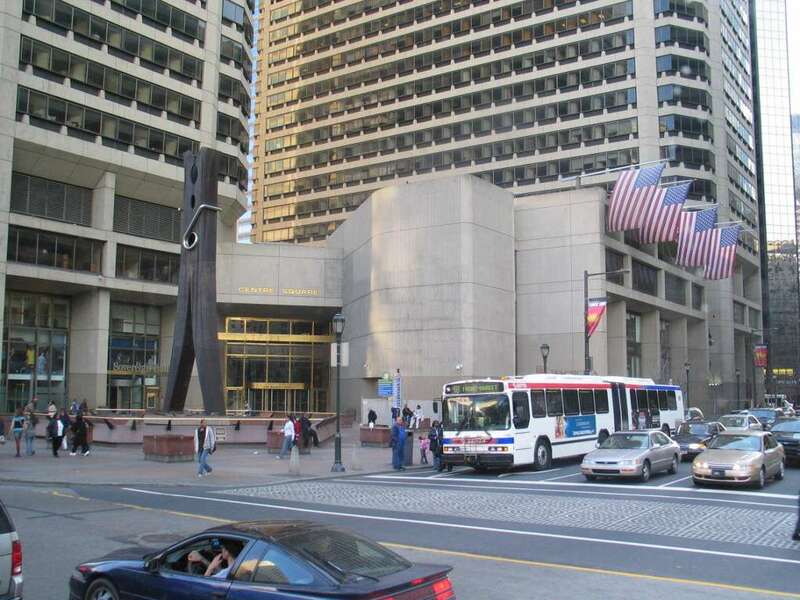 Considering visiting the downtown / civic center area? Do you like seeing film locations when you visit? In our research to develop a Tourist Scavenger Hunt in Downtown L.A., we came across a lot of information. Some we use exclusively in the actual scavenger hunt, but other we’d like to share with you. 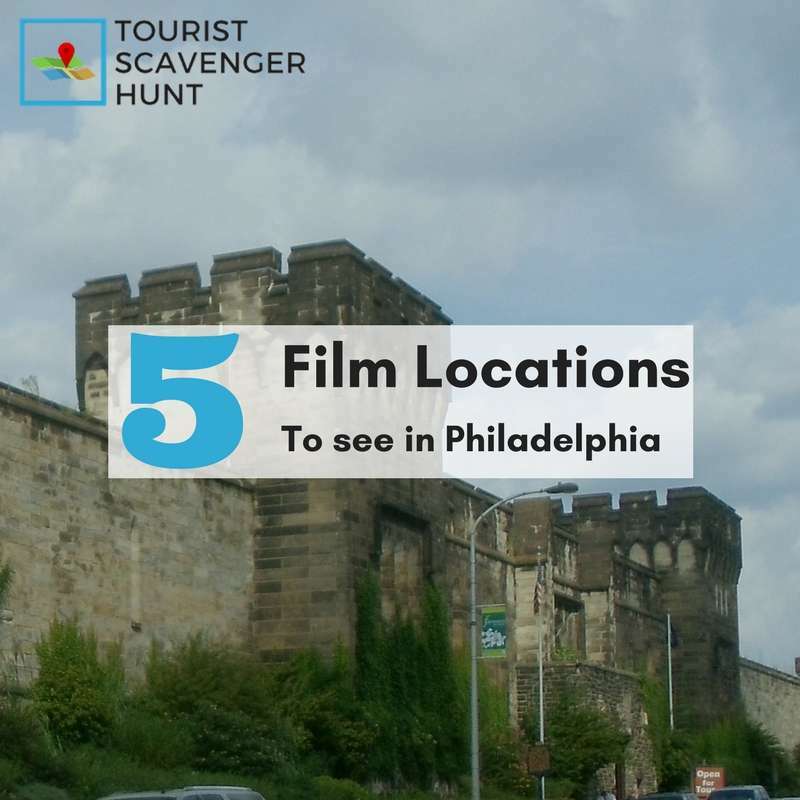 As part of that research, we came across many locations where film and television series have been shot publicly. You can see these locations as you do the scavenger hunt. To enumerate, here are 5 film locations in Downtown L.A. Located at 800 N. Alameda St., Union Station is Los Angeles’ is the main railway station in Los Angeles and the largest railroad passenger terminal in the Western United States. Union Station opened in 1939. It not only services Amtrak but local Metrolink commuter trains and several Metro rail subway lines. It is located steps away from this historical city center, where Los Angeles was but a town way back when. A number of films and TV series have significant scenes shot here at Union Station : The Dark Knight Rises, Blade Runner, Pearl Harbor, Marvel’s Agents of S.H.I.E.L.D, The Mentalist, Catch Me If You Can, Charlie’s Angel: Full Throttle, The Fabulous Baker Boys, Drag Me To Hell, 24, The Replacement Killers and X-Man 2. Located across the street from Union Station around Los Angeles Plaza Park, Pico House served in the TV show The Mentalist. Built by the last Mexican Governor of Alta California before the end of the American-Mexican War, this historical landmark opened in 1869. The Pico House dates back to LA’s days as a small town in Southern California. This building, behind the Dorothy Chandler Pavilion and the Mark Taper Forum, has been featured in many films and television shows among which are Chinatown (1974) and Inception (2010). The Bradbury building at 304 S.Broadway isn’t very impressive on the outside. However, stepping inside the Bradbury Building lets one discover its steampunk ironwork and wood-paneled interior. Inspired by a science fiction book, construction ended in 1893. The ground floor is easily accessible. However, beyond that, access is restricted. The interior has played a role in many films over the years, including some science fiction: Blade Runner (1982), Chinatown (1974), Wolf (1994), Lethal Weapon 4 (1998), Pay It Forward (200) and The Artist (2011). It has also played a central role in many television series among which include Mission Impossible (1966-73), Quantum Leap (1989), Pushing Daisies (2007), CSI NY (2010). Many music videos for Heart, Janet Jackson, Earth Wind and Fire, and Genesis also feature this unique architecture. Entrance is free, but there are metal detectors. You can explore on your own with the self-guided tour materials available at the information desk on the 3rd Floor. We encourage you to see the observation deck on the 27th floor for a wonderful view of the surrounding area. 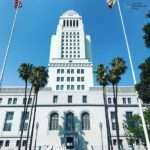 The iconic City Hall tower has appeared as itself and stood in for other locations in dozens of TV shows and movies such as Dragnet, Gattaca, X2, The Bodyguard, Torchwood, The West Wing, Beverly Hills Cop, L.A. Confidential, Eraser, The Green Hornet, Barto, Fink, and Speed.